Home » New pattern, a birthday, and a sale! Inspired by the traditional quilting pattern, the design is worked one-triangle-at-a-time using short rows. I can’t wait to see the color combinations that other knitters put together! I’m looking forward to knitting a scrappier version myself, someday. I’ve you’ve stumbled upon this blog from Knitty: welcome! As you can see, I’m currently almost halfway through a year of patterned drawings. I do promise you that knitting is happening here, despite what it may seem from my recent updates! I hope you’ll stick around, subscribe to the blog, and follow my adventures! This has been an eventful week, having also just celebrated by 29th birthday. 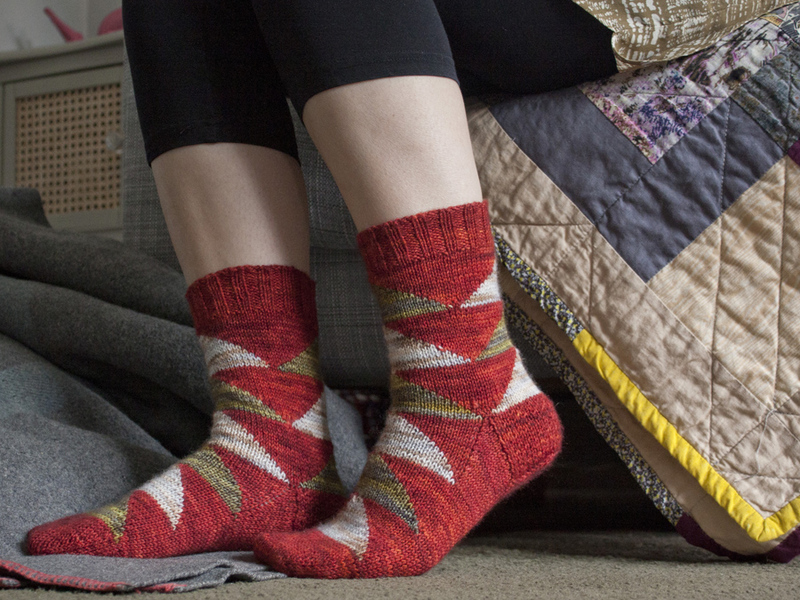 To celebrate my constant aging (ha) and the release of Flying Geese, I’m offering my Undercurrent Socks and Collar pattern on sale for $2.90 for the next week (through midnight US Eastern time on Wednesday, June 19th). No coupon code is required, but you may need to add the pattern to your cart and start checking out with PayPal before you will see the discount. 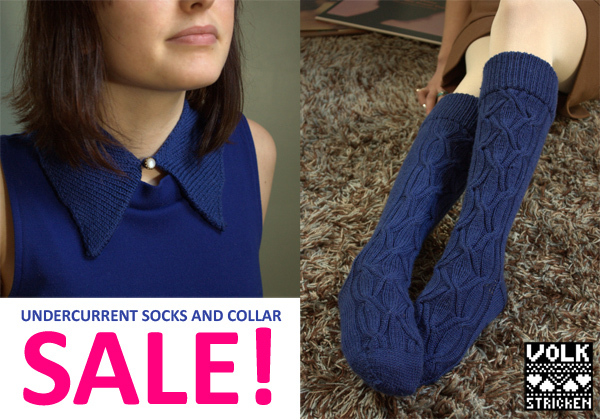 If you’re a fan of beautiful socks and/or short rows (which help shape the collar), then don’t miss the chance to snag this pattern at the sale price!